We do not guarantee the accuracy of the information provided. All information is provided “as is” and no guarantee is expressed or implied. Furthermore, nothing on this website is to be construed as legal advice. For legal advice, please contact a lawyer. Your viewing of our website does not create an attorney-client relationship with us. Furthermore, if you contact us, your contact does not create an attorney-client relationship with us. 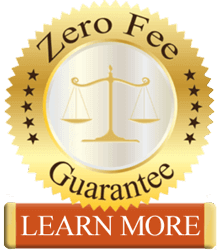 You will become a client of our law firm if/when you sign a retainer agreement with us. You will not copy, or otherwise reproduce, any part of this website, including texts and images, without our permission.